We wanted to get some pictures up as quickly as we could. 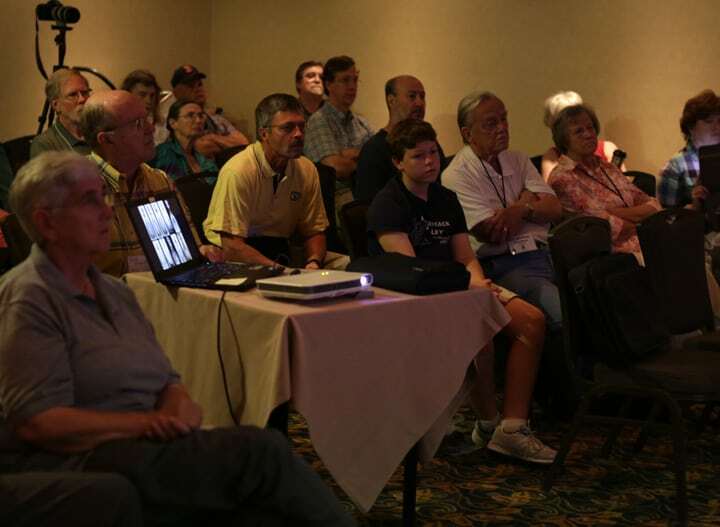 The seminars, simply put, were awesome, informative and well attended. It was truly hard to select a topic each of the three hour periods. Look for more coverage in Bottles and Extras. 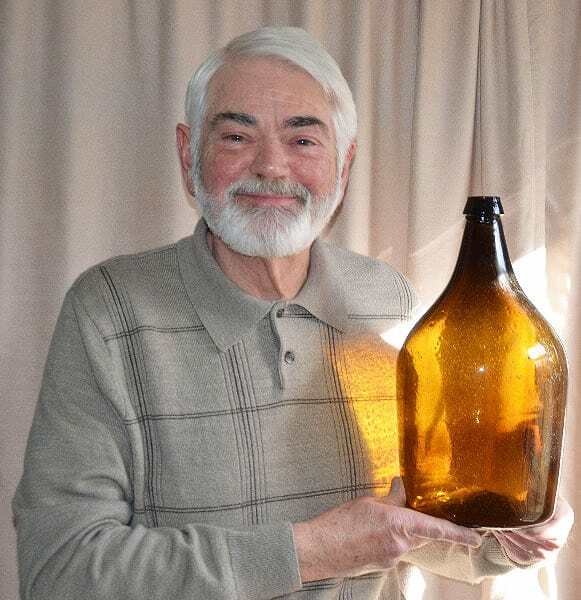 Rick is a past president and current member of the Somers Antique Bottle Club. 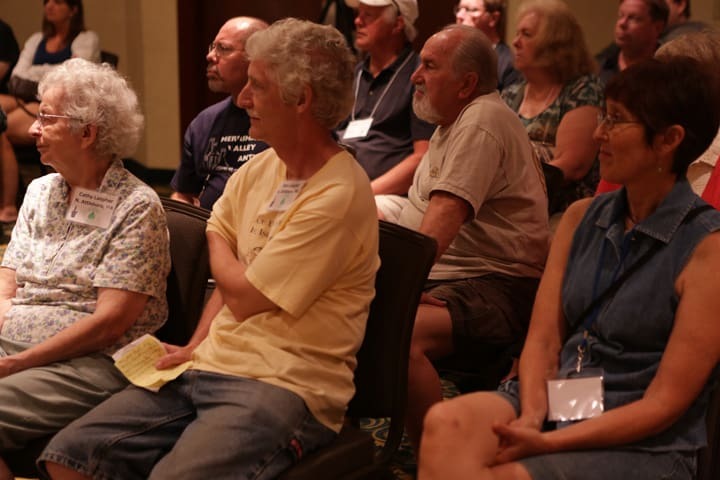 He is also a past president and current Vice President of the Pitkin Glass Works, Inc., with affiliations at the Manchester, Coventry and Willington historical societies. 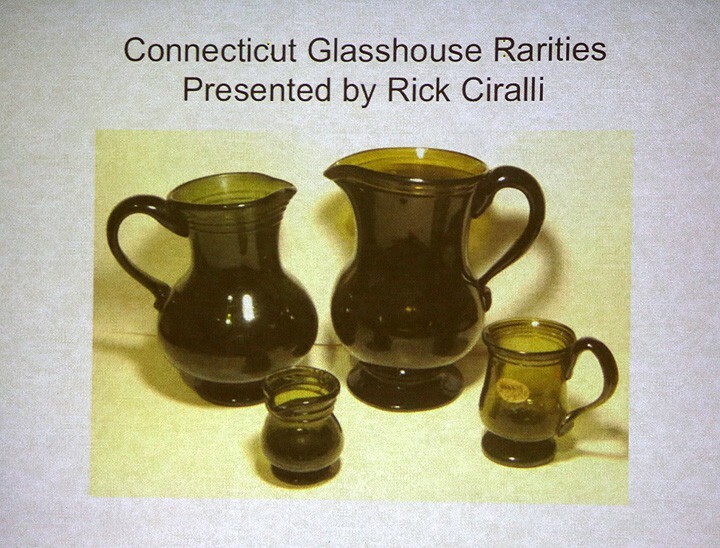 Also a current member of the FOHBC and the Connecticut Museum of Glass in Coventry, Connecticut, Rick has done numerous presentations on Connecticut Glass in a variety of forums throughout the state and beyond. 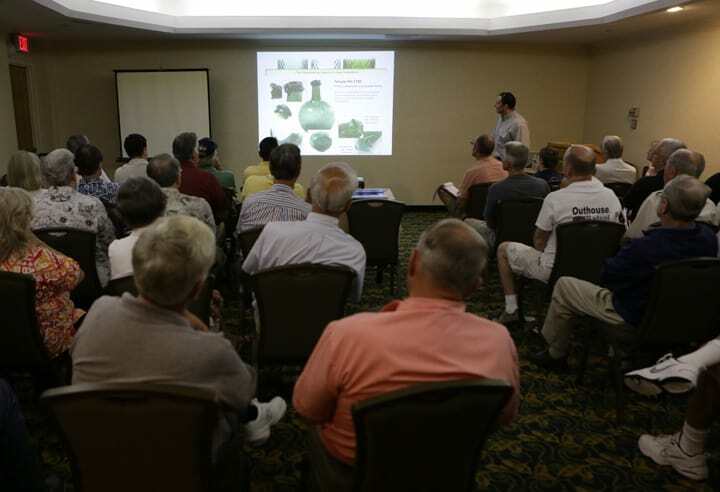 Rick was a featured speaker at the Eastfield Village workshops on Pitkin glass and was the keynote speaker for a Manchester Historical Society’s event on early glassmaking. 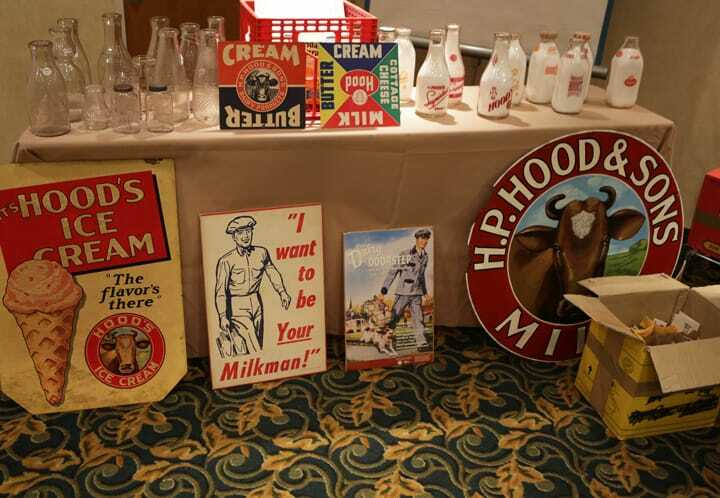 Rick has also displayed portions of his collection at past bottle shows, club meetings and historical societies. He has also studied and consulted on New England glass at Old Sturbridge Village and on early glass in the American Decorative Arts department at the Yale Art Gallery. 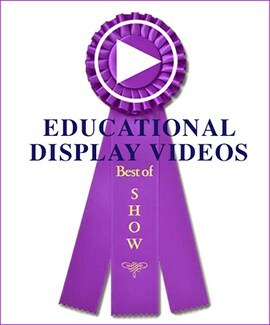 Rick has also written numerous articles on Connecticut glass for Antique Bottle & Glass Collector magazine, Bottles and Extra and for many clubs and organizations. He is also very connected to the bottle shows in New England and a regular at the Keene and Baltimore shows. 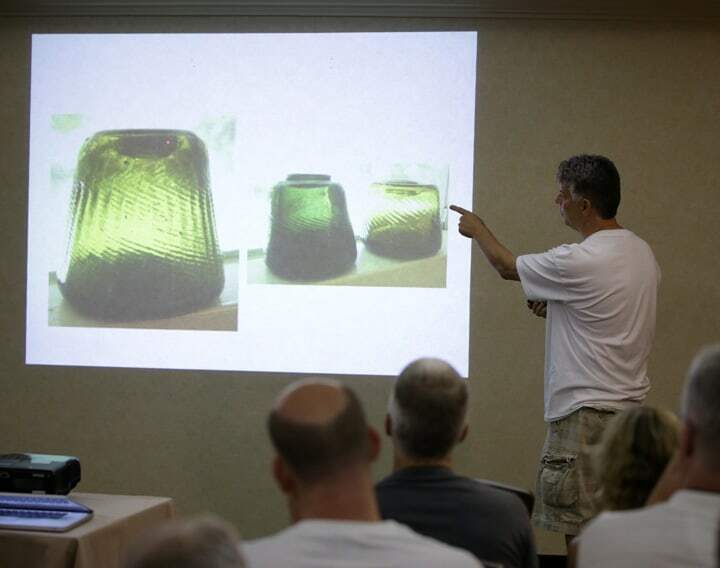 Rick’s passion for Connecticut glass is obvious and his enthusiasm is contagious! 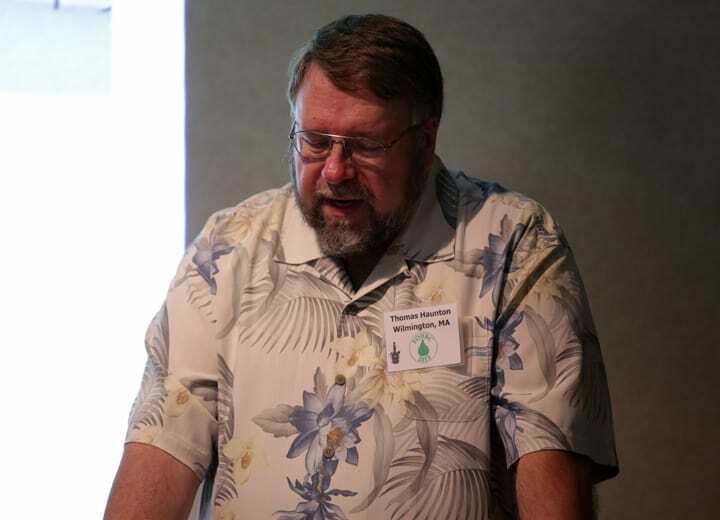 Thomas C. Haunton has pursued career paths in two separate fields, following his favorite interests in high school, music and American history. Ironically, it was his travels as a musician that would eventually take him into the field of history, and in a strange twist, back to his southern New Jersey roots. Tom attended the New England Conservatory of Music, and for 35 years until his recent retirement from performing, lead the active life of a professional French horn player, touring throughout the United States, Canada, Japan, Korea, and New Zealand as a member of the Boston Pops and numerous other performing ensembles. He serves on the music faculty of Dartmouth College in Hanover, New Hampshire, a position he has held since 1988. In the early 1980s, Tom began collecting violin bottles, a decorative connection to his love of music. 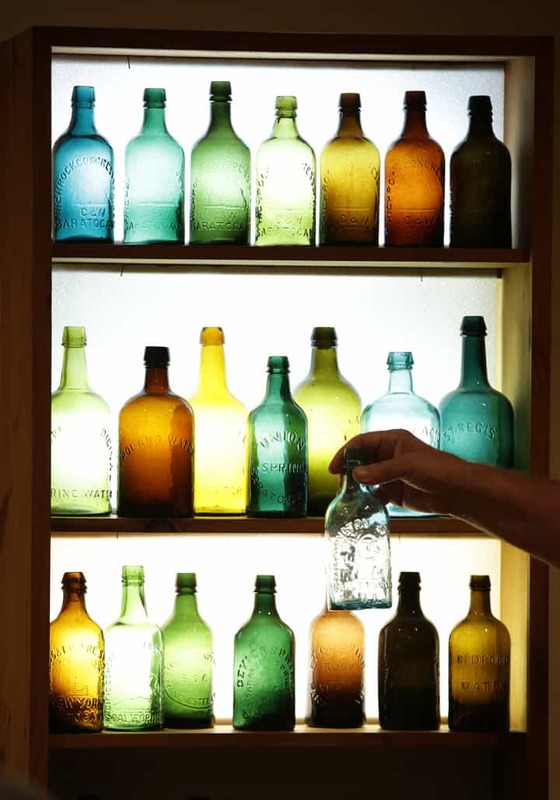 At the suggestion of a family friend, Tom visited the Clevenger Brothers Glass Works in Clayton, New Jersey, where he found his violin bottles and a multitude of other glass pieces. It was then that the American history bug found its way back into Tom’s life, beginning his thirty years of collecting and the study of American glass. 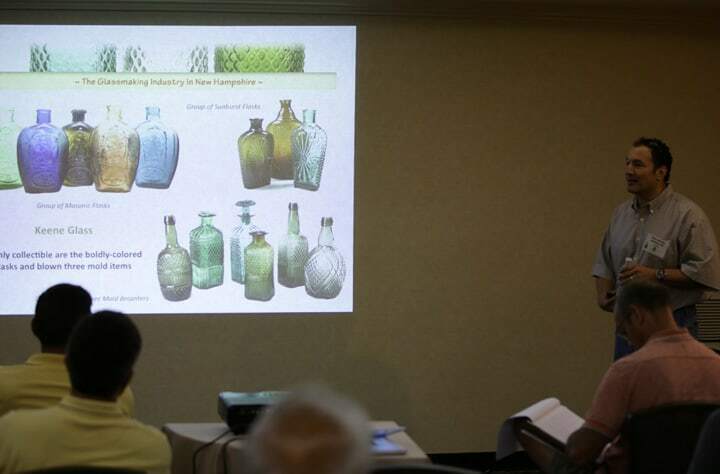 As a historian specializing in glass made in southern New Jersey, Tom is the author of two books; Tippecanoe and E. G. Booz Too!, a book about cabin bottles, and the first volume of a larger work entitled Last Links to the Past 20th Century South Jersey Glass, as well as over a dozen articles about glass. His Last Links to the Past book has been described as a “spectacular piece of research and writing” by Dwight Lanmon, former director of both the Winterthur Museum in Wilmington, Delaware, and the Corning Museum of Glass in New York. 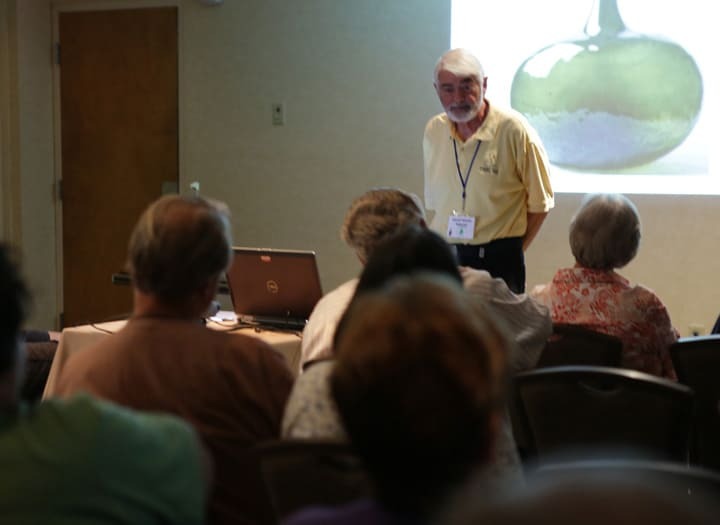 Recognized as an authority on 20th century American Glass, Tom has appeared as a guest lecturer for historical societies and other organizations throughout the Northeastern United States and New England. He assisted with the 1987 Clevenger Brothers Glass Works The Persistence of Tradition exhibition and catalog by the Museum of American Glass at Wheaton Village in Millville, New Jersey, and presented his own exhibition, The Colorful Clevengers, at the Gloucester County Historical Society in Woodbury, New Jersey in 1992, writing and designing an accompanying catalog and slideshow. 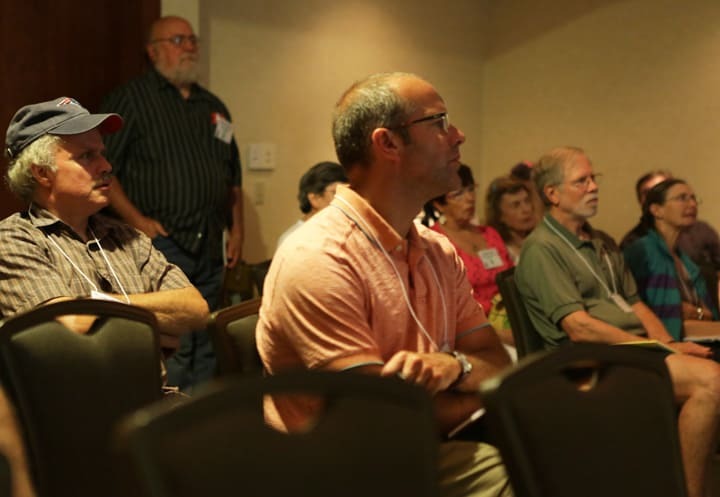 Tom appears at numerous Northeast US antique and collectible shows as the owner/operator of Jerseyana Antiques and Collectibles. 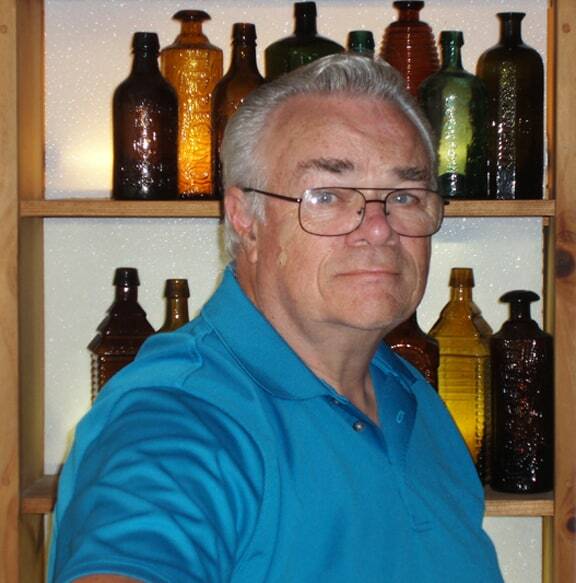 He is working on the second volume of Last Links to the Past 20th Century South Jersey Glass, and writes a quarterly column, Jerseyana Corner, for Antique Bottle & Glass Collector magazine. He resides in Wilmington, Massachusetts with his wife, Robin and daughter, Aline. 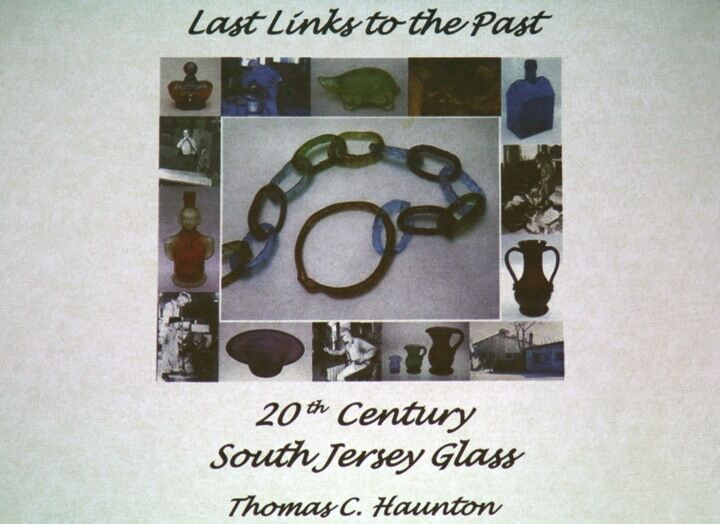 Tom’s presentation is called Last Links to the Past 20th Century South Jersey Glass. Based on his two-volume work of the same title, the presentation will cover the history and production of 20th century New Jersey glassblowers such as the Clevenger brothers, Emil Larson, and others, as well as glass operations such as Beacon, Dell, Old Jersey, Downer, the WPA, and more! Can you tell the “real” from the “repro?” Find out who made those violin and Booz bottles everyone looks for, not to mention the early freeblown South Jersey and Stiegel reproductions and even paperweights! George and Helen McKearin’s 1941 book American Glass brought order to the two earliest categories of American molded glass: the large variety of figured and historical flasks, and the equally large and varied group of mold blown tableware. Both were first made around 1815 but while flasks were made until at least the Civil War, mold blown tableware was gradually replaced by pressed glass starting in 1828. Both categories contain great rarities and both attracted high prices from early collectors. Ian Simmonds ‘fresh look’ at “blown three mold” will start by showing what is unique about this glass. Just like historical flasks, this glass was blown, shaped and patterned in hinged molds. However, a great many pieces of blown three mold were further shaped by hand, leading to many other forms including bowls, pitchers, tumblers and salt dishes. Next, Ian will show some of the many varieties of blown three mold and how Helen McKearin went about classifying them. Finally, he will share his new research about which pieces were made first and which came later. 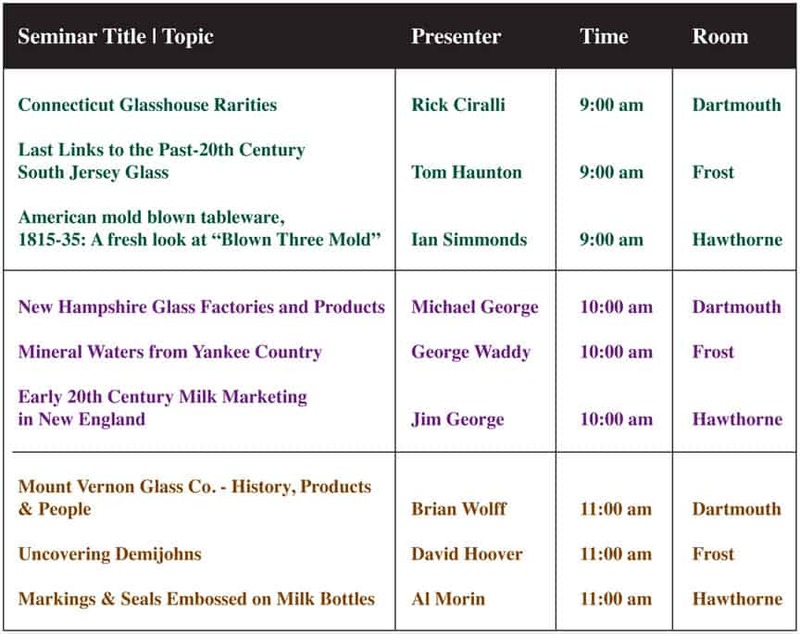 In particular, Ian will present the first TEN recorded examples of tableware molds that were modified, and help clean up the story of which blown three mold was made at Keene and when they made it. 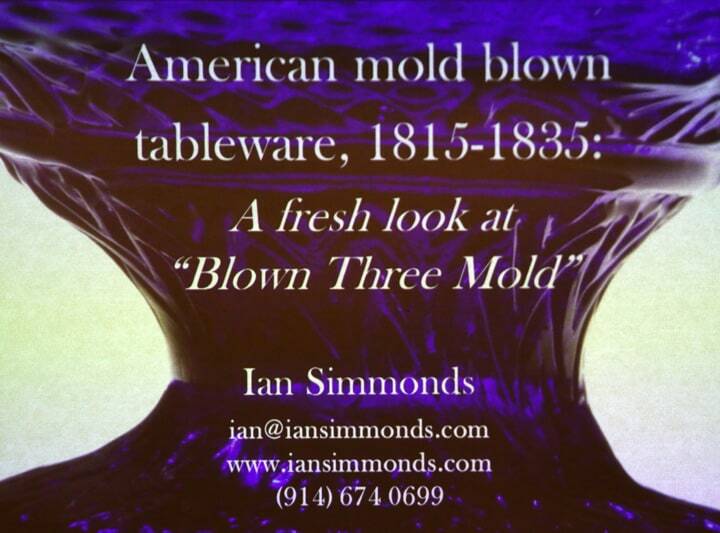 Ian Simmonds is a leading researcher and dealer in early American glass. 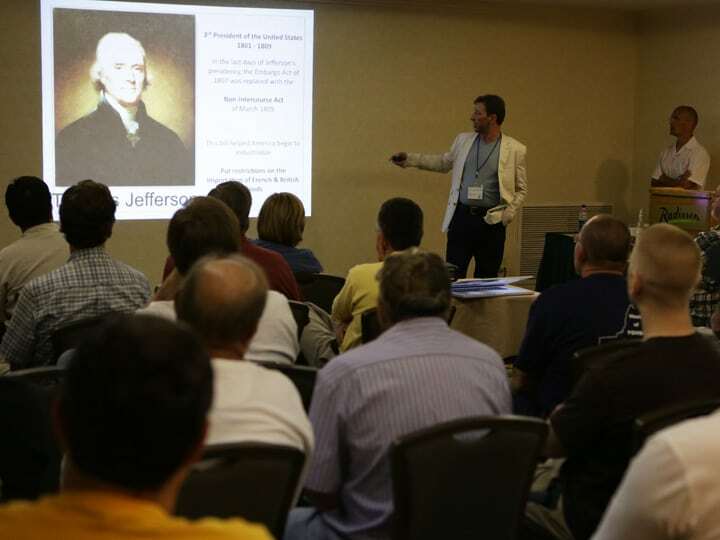 He has published many articles and given many talks including on early cut glass, blown three mold, early glassmaking inventions, and Midwestern glass. His most important rediscovery is of New York City machine cut glass of the 1850s, which is the subject of his fall 2013 article in The Corning Museum of Glass’s Journal of Glass Studies. Ian started collecting as a child in England. His first collection was of United States postage stamps. He moved to New York in 1995 and bought his first piece of glass – a GIII-21 blown three mold dish – in 1997. 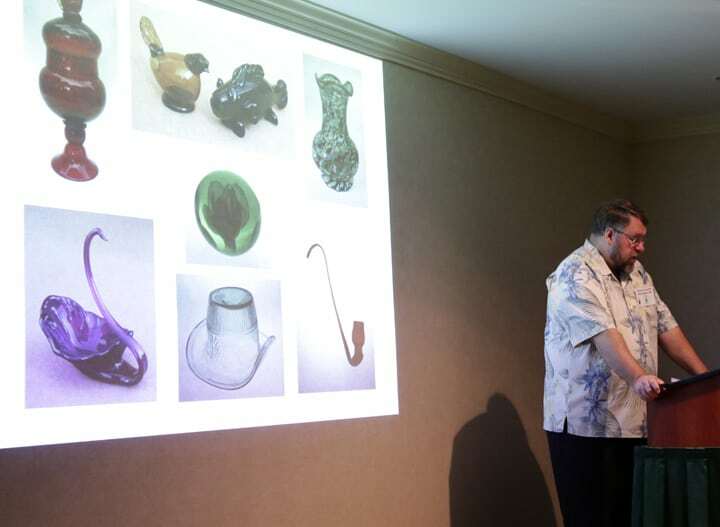 Ian became a full time glass researcher/dealer at the start of 2012. Before that Ian worked at IBM’s T.J. Watson Research Center where he researched and designed software for use by business and IT consultants. 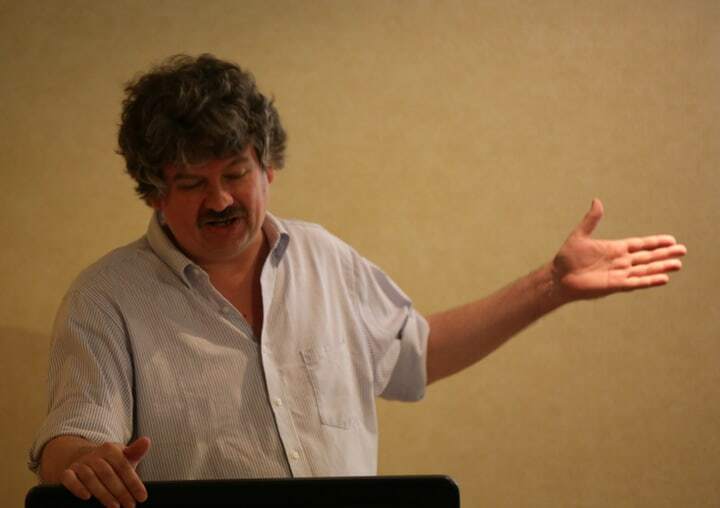 He is joint inventor of many issued and pending software-related patents. He lives in Carlisle, Pennsylvania. Ian’s website is at www.iansimmonds.com. Michael George was born and raised in New Hampshire, and currently resides with his family in the countryside of New Boston. He has a bachelor’s degree in Commercial Art from Notre Dame College, and is currently employed as a Marketing Director. 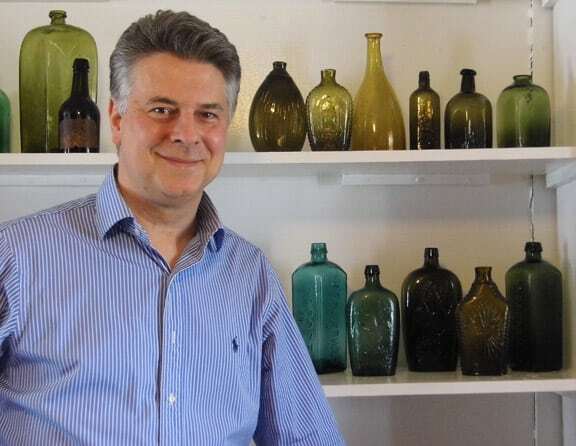 His passion for American glass started at an early age, as a collector of medicine bottles that were discovered at local auctions or unearthed in old dumps. 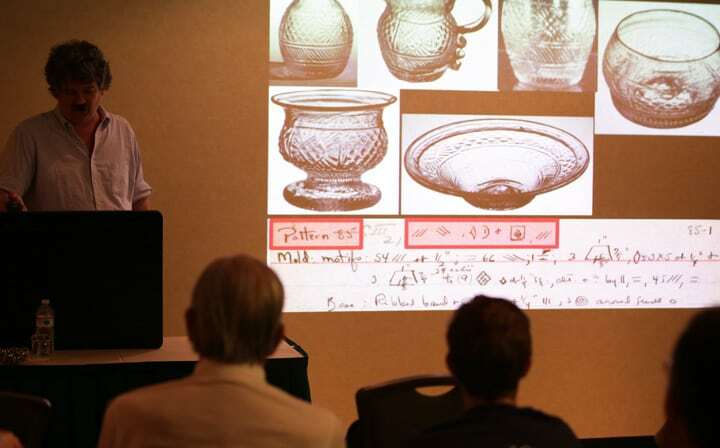 Over the years, his expertise and knowledge for bottles expanded into historical flasks and early American glass wares, as he researched the production of 18th and 19th century glasshouses throughout New England. Michael has become an avid collector and premiere antique glass dealer. 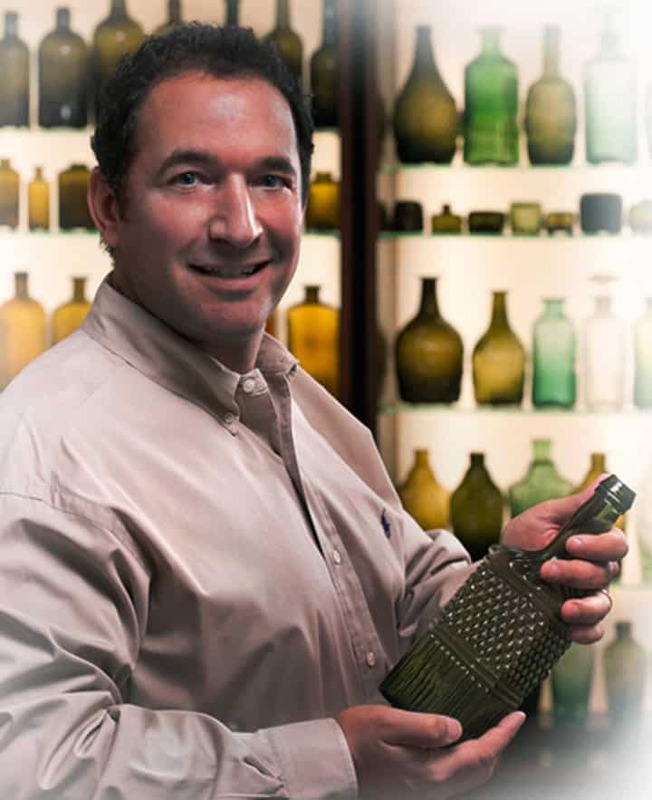 In 2004, he launched a website, www.bottleshow.com, an online venue for buyers and sellers of bottles, flasks and early American glass. 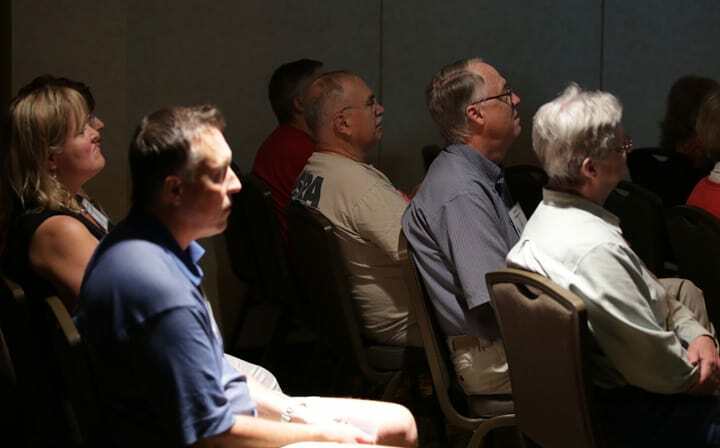 He has also conducted numerous lectures for historical institutions and produced formal appraisals for collectors or estate settlements, while actively coaching new collectors in the hobby. His glass articles have been published in such magazines and newsprints as Antique Bottle & Glass Collector, Bottles & More, Unravel The Gavel, and Antiques & Arts Weekly. 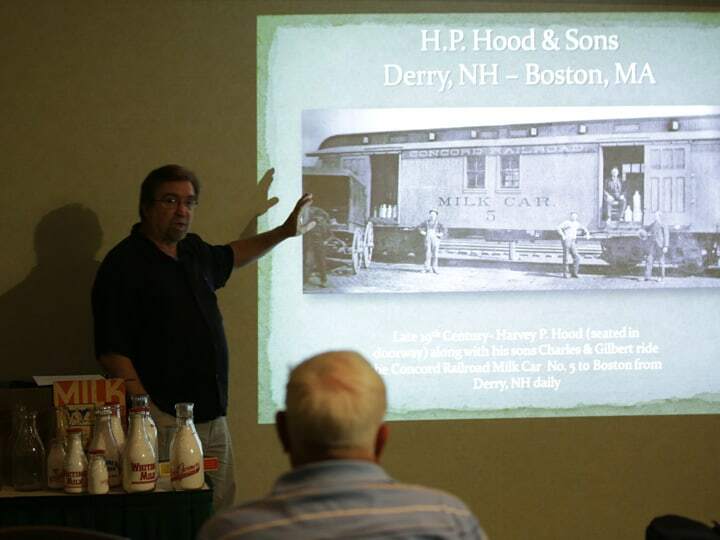 Recently, Michael served as organizer and curator of the New Hampshire Glassmakers Exhibit at the Peterborough Historical Society. 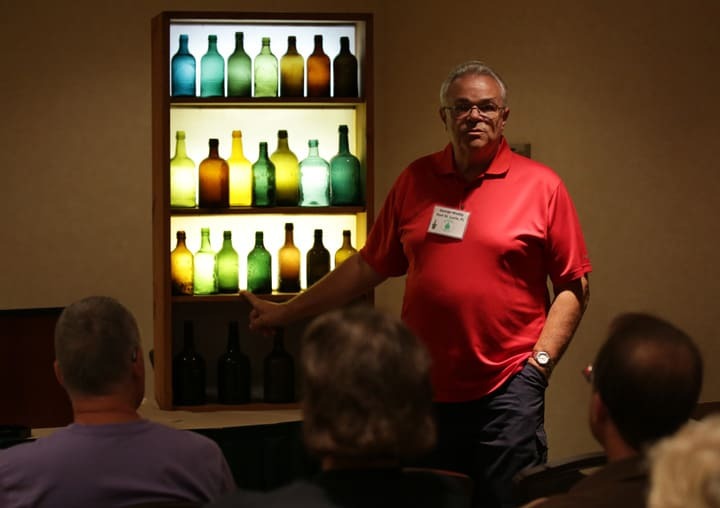 He is a member of the Federation of Historic Bottle Collectors, member of the Yankee Bottle Club, and member of the Merrimack Valley Bottle Club. He is also very active in the bottle and glass show circuit, participating in over a dozen events annually throughout the East Coast. Brian P. Wolff is a technical data analyst for a high voltage testing and engineering firm in Central New York. He makes his home in Sherrill, New York. Brian is a current FOHBC member, has been involved in bottle collecting since 1973. 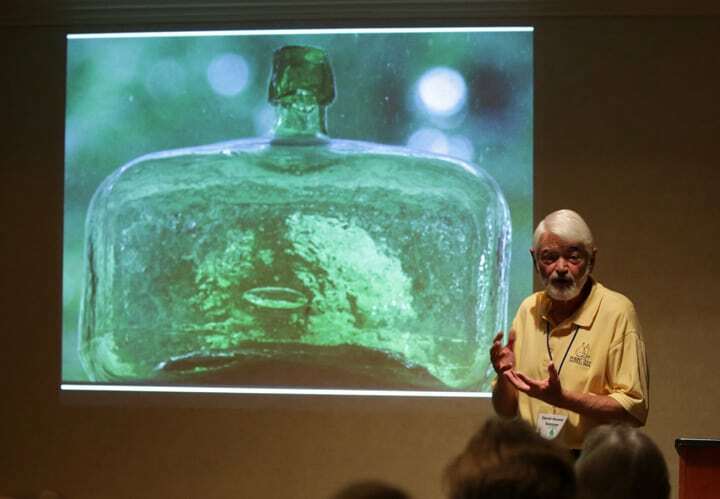 His introduction into collecting began with bottle digging in Batavia, New York and the surrounding Western New York area. 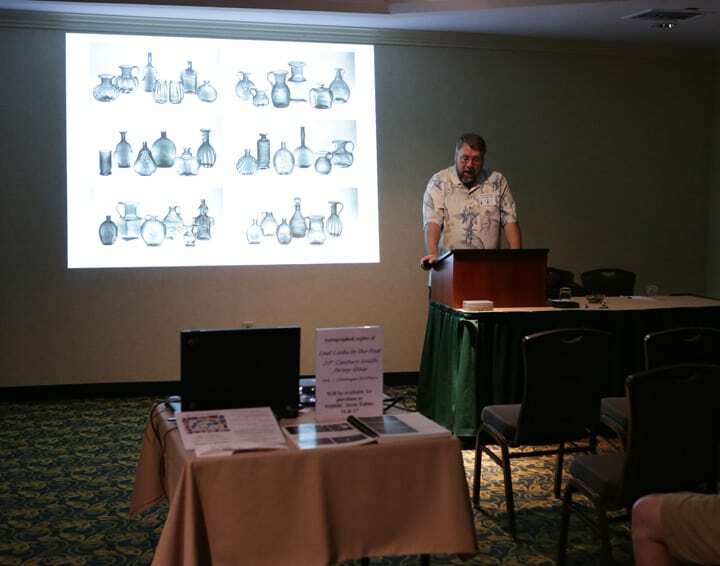 Immediately interested in learning more about the bottles he was finding; he volunteered his time at the Holland Land Office Museum in Batavia and as a teenager was the youngest member of the now defunct Tonanwanda Valley Glass & Bottle Collectors Association, at that time. During his high school years he spent much of his time performing historical research and trying to located more places to dig. 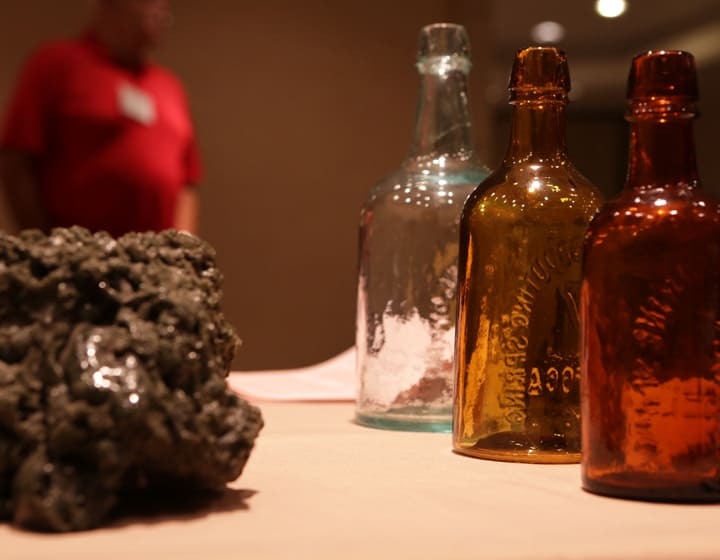 Brian enjoys collecting pontiled (NY) medicines, Saratoga type mineral waters and other early New York State bottles. His collecting took a brief hiatus in the 80’s while moving about the state with work and raising a family. 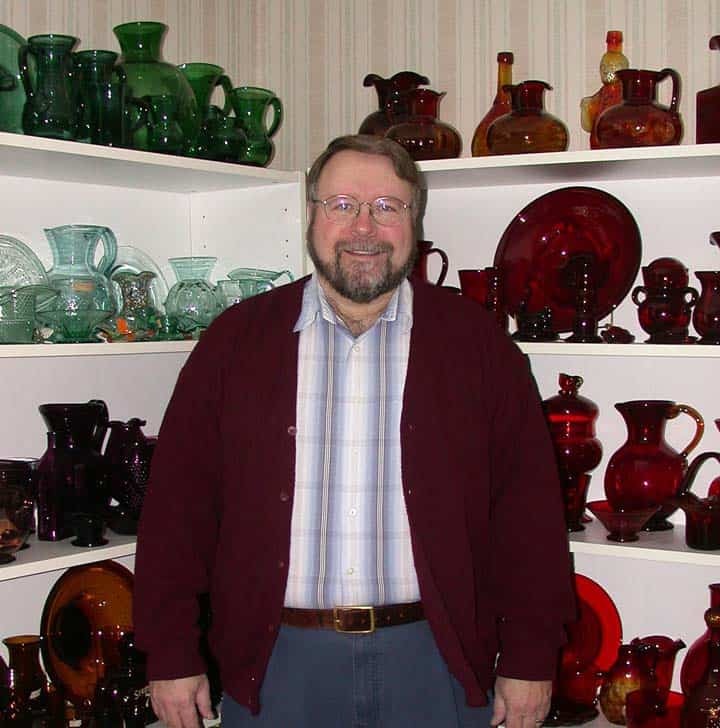 His affection for bottles, glass and historical research was rekindled when he relocated, in 1988, to the town in which the Mount Vernon Glass Company had operated. Brian has been excavating at Mount Vernon for a number of years and has spent a tremendous number of hours researching and gathering shards for identification; logging 28 visits to the site just last year alone. He has dedicated the last three years exclusively to researching the history, people and products in an effort to shed new light on this factory. 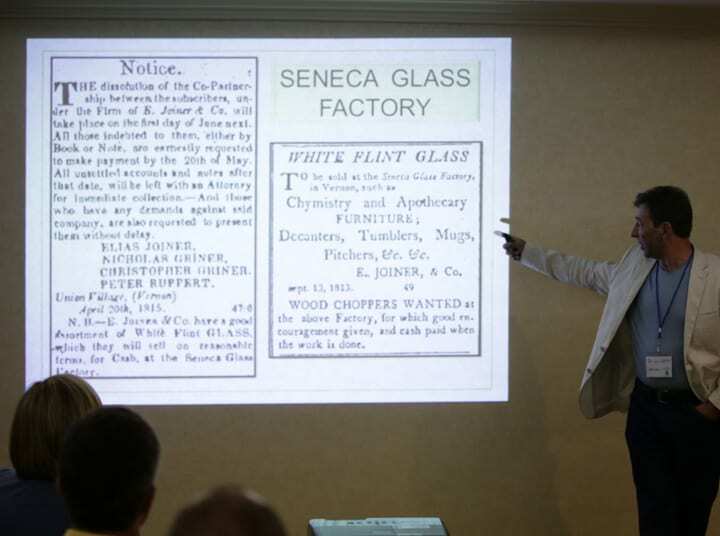 His presentation on the Mount Vernon Glass Co. will briefly touch on other early Central New York glass houses and will provide information on key people and a historic timeline of the Mt. Vernon/Granger operation. We will walk in the footsteps of pioneer researcher Harry Hall White and rediscover the evidence he found in the 1920’s. 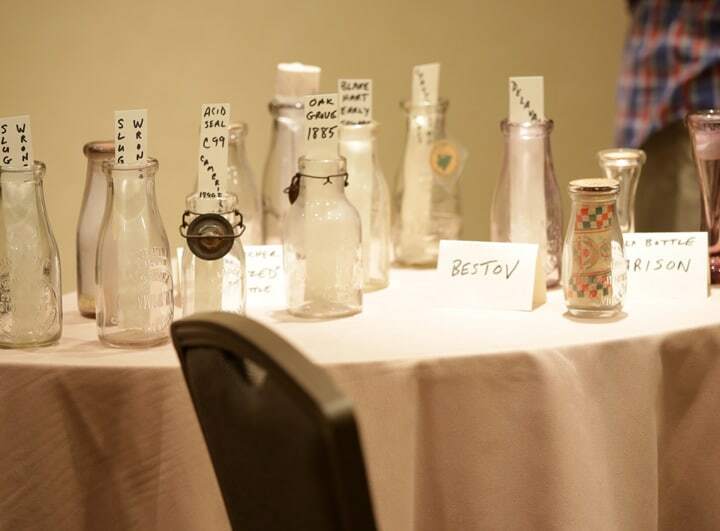 Flasks, medicine and utility bottles, blown three mold patterns and other item will be discussed, confirmed and New Discoveries will be revealed! Additional commentary will also be provided by Mark Yates, collector, researcher and enthusiast of early Central New York glass. Mark brings a wealth of knowledge on early CNY bottles and has been collaborating with Brian, for the last four years, with shard identification and additional research. 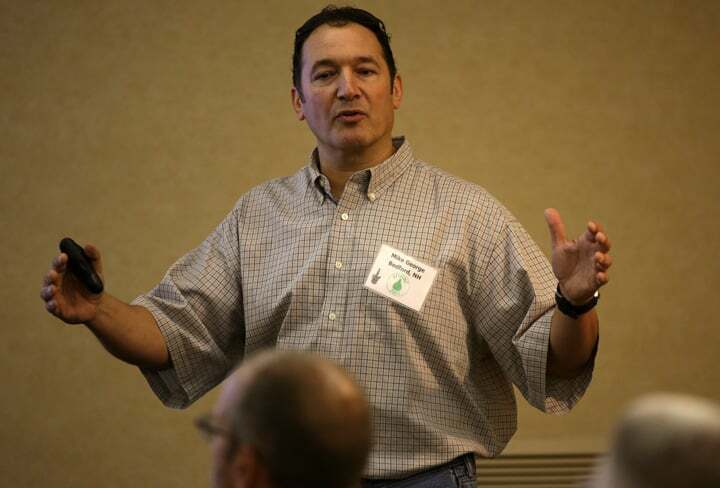 Jim George was born in Nashua, New Hampshire and raised in Milford, New Hampshire, where he currently lives with his family. 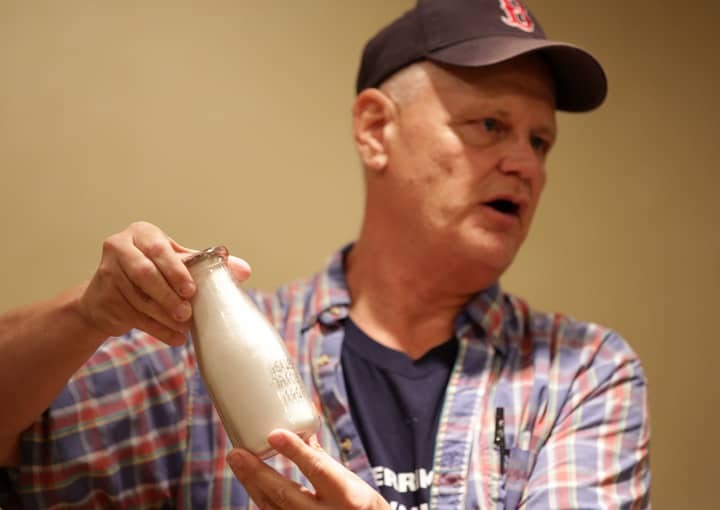 Jim’s dad, Ernie George, was an avid milk bottle collector and dairy agent for the UNH Cooperative Extension for over 30 years, as well as the co-author of the first New Hampshire milk bottle book “Milk Bottle Collector’s Guide to New Hampshire and Vermont Dairies” with A. B. “Jerry” Jerard. 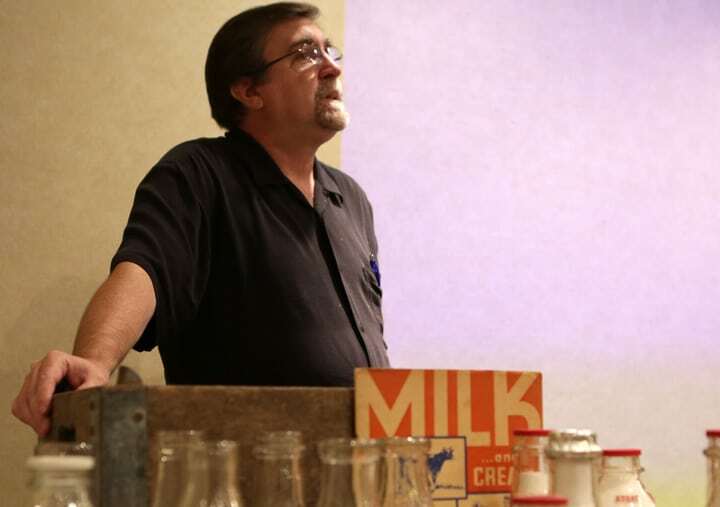 After Ernie’s passing in 1998, Jim has carried on the milk bottle tradition as a passionate collector and dealer of all things “dairy related”. 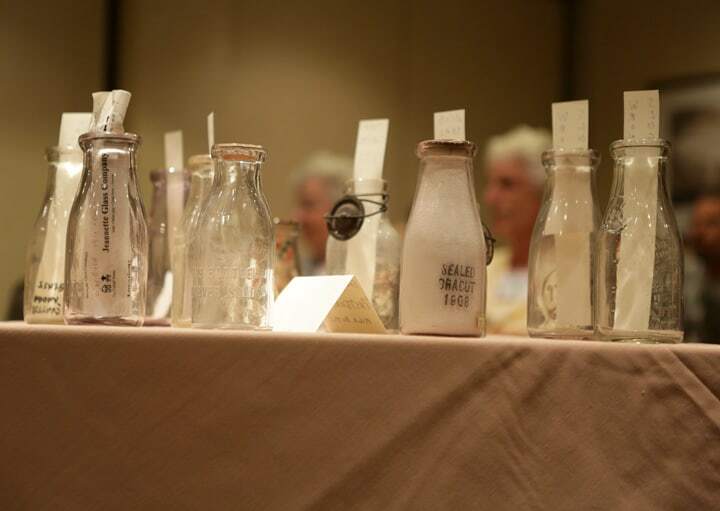 He spent several years working with a New Hampshire team of milk bottle collectors to publish a new reference book “New Hampshire Milk Bottles”, authored by Richard Clark, Jr, now in its Second Edition. 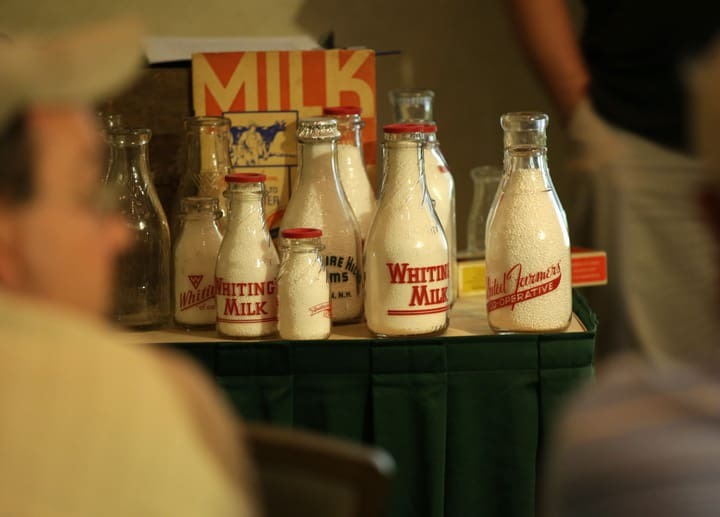 Jim has travelled around New Hampshire giving milk bottle talks and lectures to various organizations and historical societies. 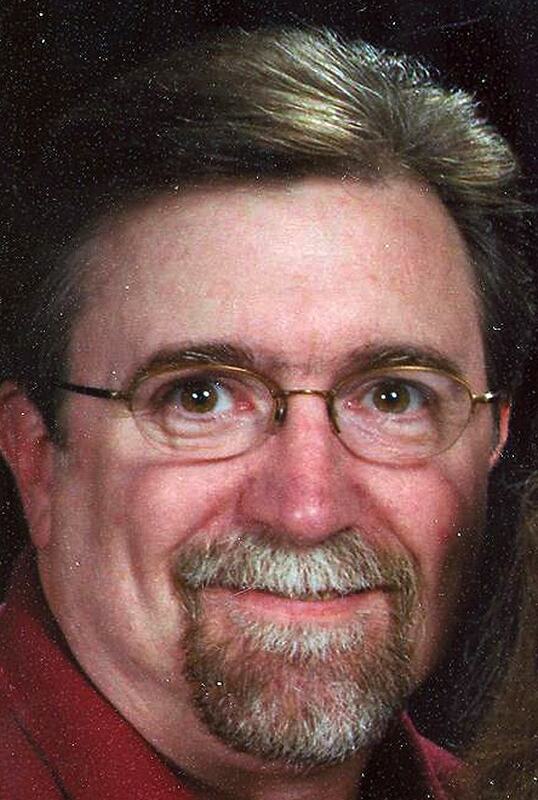 Jim currently works as an Antique Sales Associate at the New Hampshire Antique Co-op in Milford, New Hampshire, as well as being self-employed as an antique dealer and mobile disc jockey. 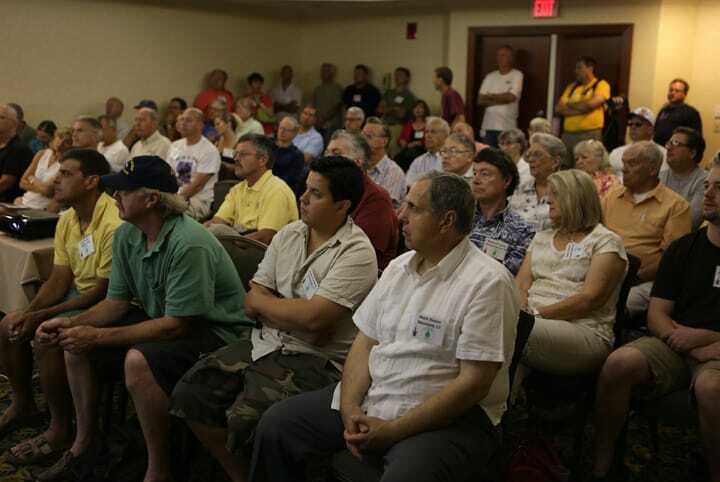 He is also the current treasurer of the Merrimack Valley Antique Bottle Club, host club for this year’s FOHBC National Antique Bottle Show. 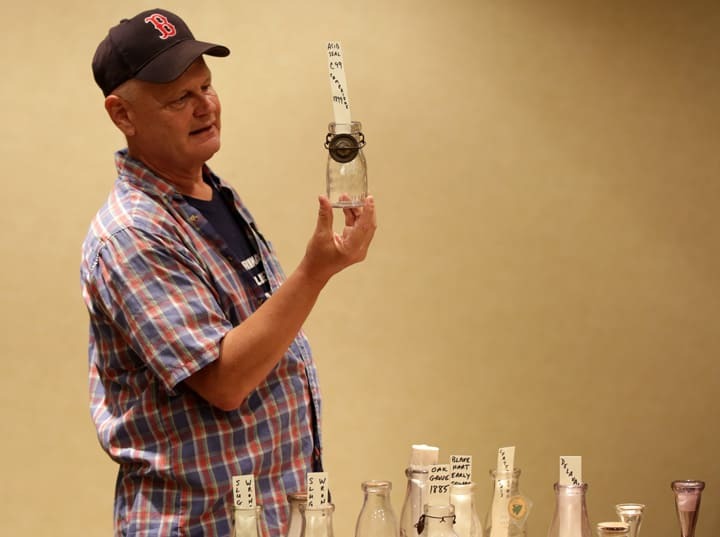 Al Morin, Merrimack Valley Bottle Club member, longtime member “The Milk Route” National Association Milk Bottle Collectors, and 40 year glass enthusiast who has spoken about milks and a variety of glass topics at clubs in Massachusetts and West Virginia. 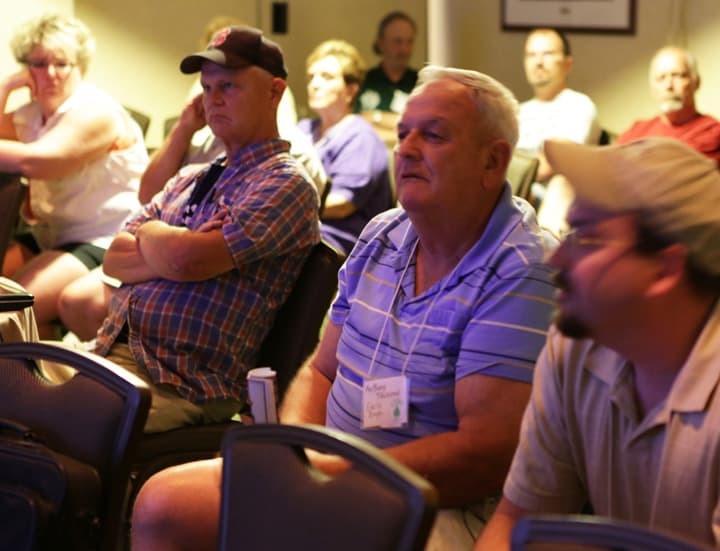 Al is a longstanding supporter of the West Virginia Museum of American Glass in Weston, West Virginia. 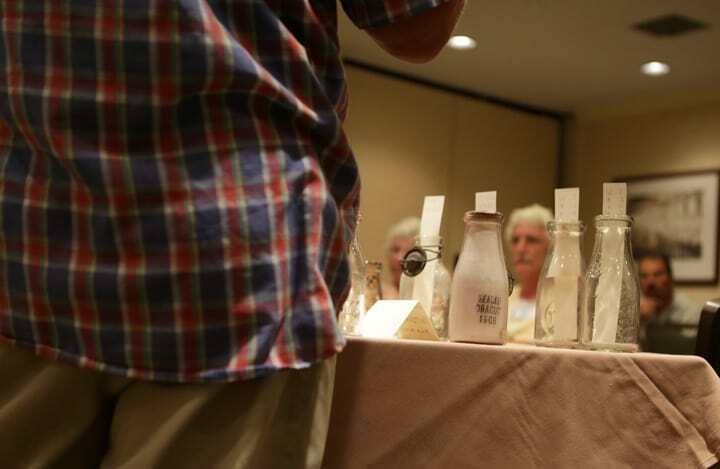 He will speak about “Markings & Seals Embossed on Milk Bottles” and will also answer collectors questions on the subject. 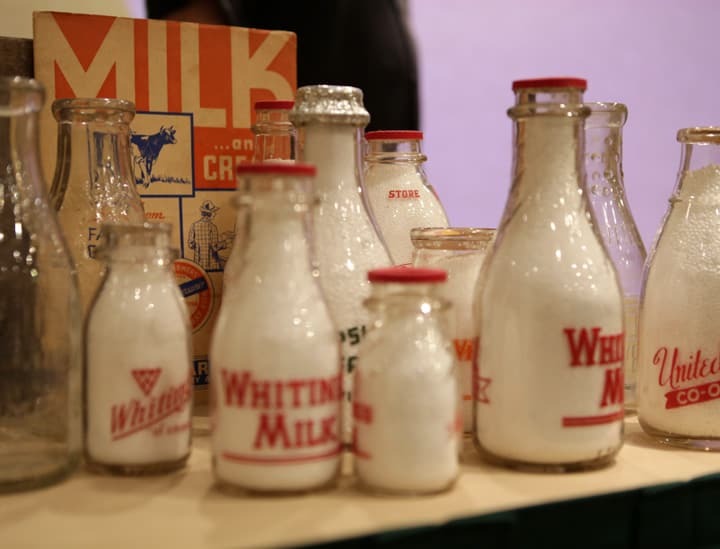 This should interest all bottle collectors, as there are many embossings found on milk bottles from all over the United States. 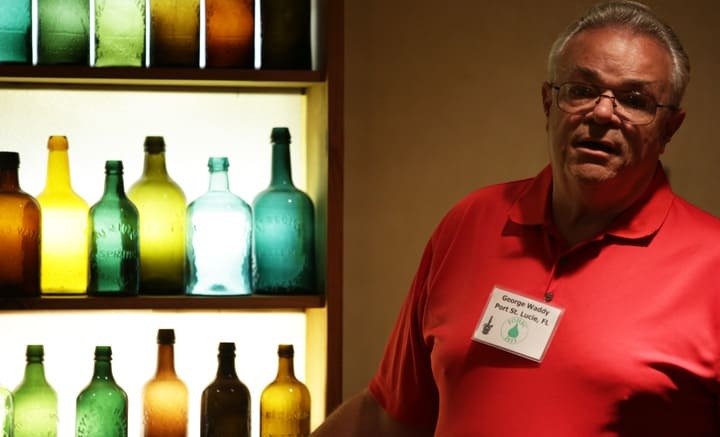 George Waddy has been collecting Saratoga-type mineral water bottles since the late 1960’s. 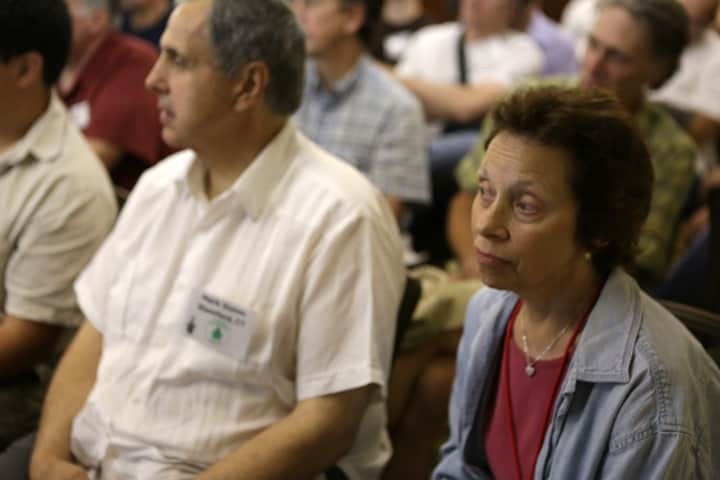 He has been a member of the Hudson Valley and Genessee Valley Bottle Clubs, and is past president of the Saratoga-type Bottle Collectors Society. 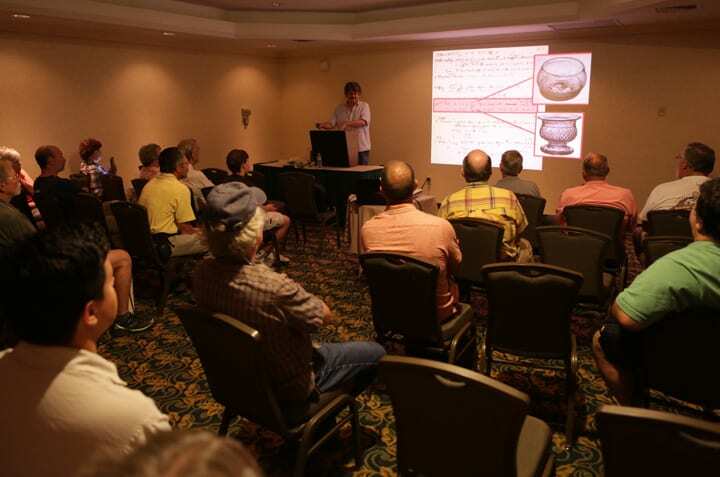 He has presented seminars at two previous national shows and at numerous historical and museum societies across New York. 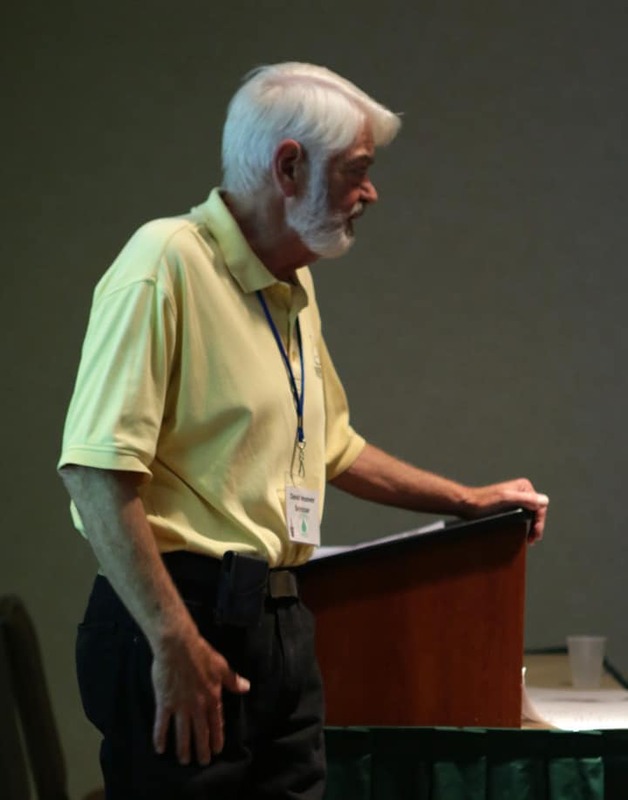 He has also written over 200 articles on collecting bottles in various hobby magazines, including a column on “Saratogas” in the Bottle and Glass Collector magazine through the late 1960’s to the early 2000’s. 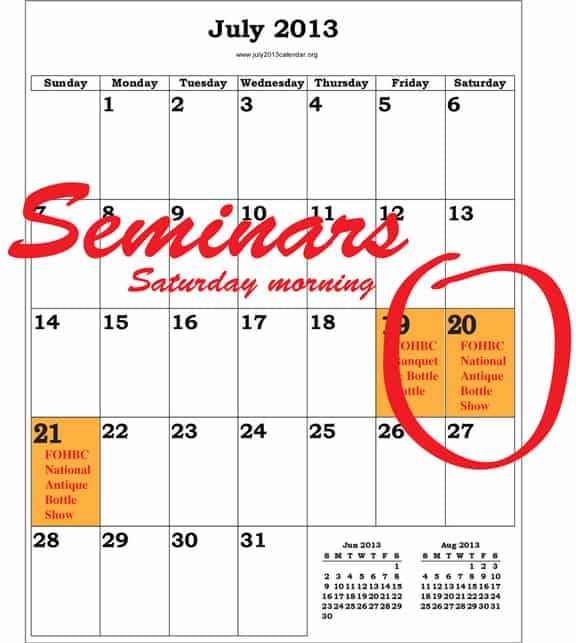 The seminar will include information on identifying the forms and ages of various Saratoga bottles, as well as illustrations of “color-runs” and actual examples of the range of colors and rarities available in these popular Northeastern bottles. Some folky stories about interesting mineral water finds in his 40+ years of collecting will add some variety to the program! 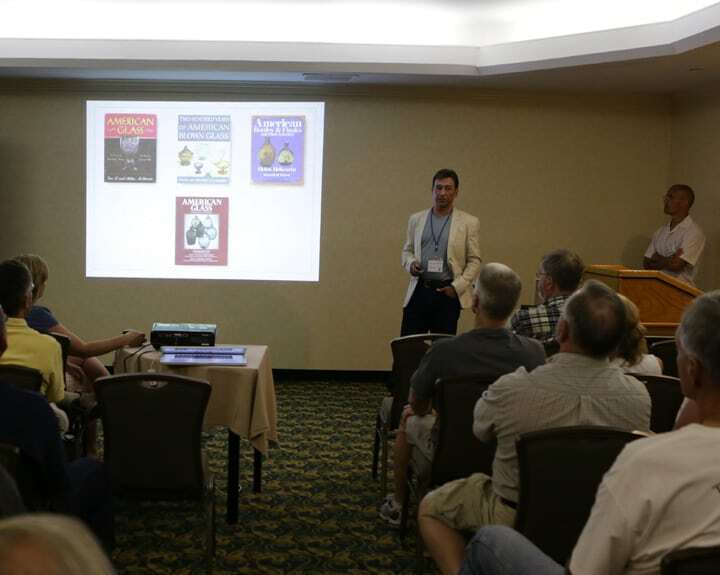 Research materials will also be suggested and a brief hand-out with key information to assist both newer and advanced collectors will be available. 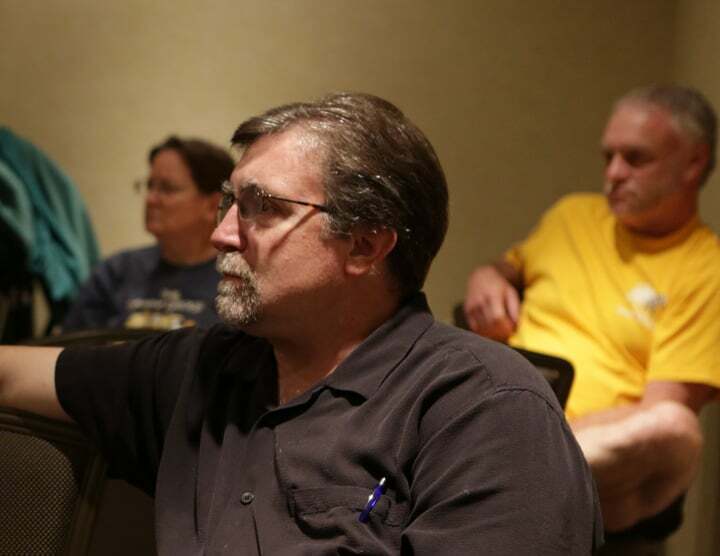 David Hoover lives in Michigan with his wife of 38 years, Shirley and their four cats. 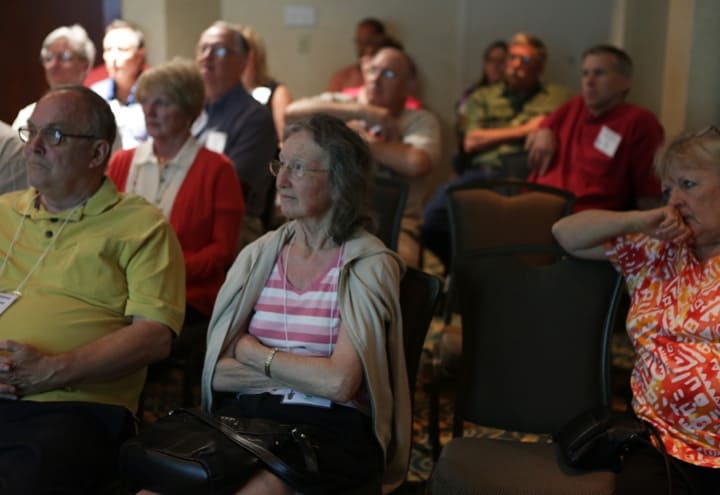 He retired in 2012 after more than forty years working in the communication technology field. He has had an interest in bottles for many years. However, he only became a serious collector after finding an early Hutchison bottle in the Tattabawassee River in eastern Michigan. 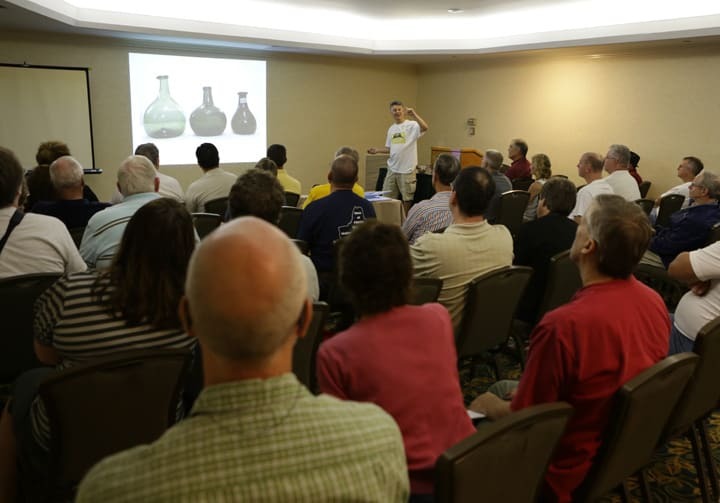 When he saw a demijohn at an antique show, he was hooked. “I have no idea why that particular style intrigued me, but it did.” David said. 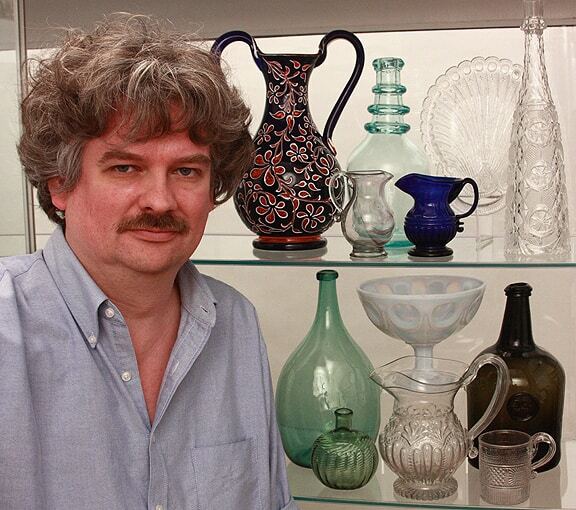 In addition to demijohns, David also collects early blown glass. He has been collecting and studying demijohns and related go withs for over 15 years. His collection spans all types, colors and sizes from many different countries. 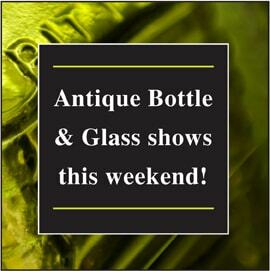 He displayed some of his collection at the 2005 FOHBC National Antique Bottle Show in Grand Rapids, Michigan. 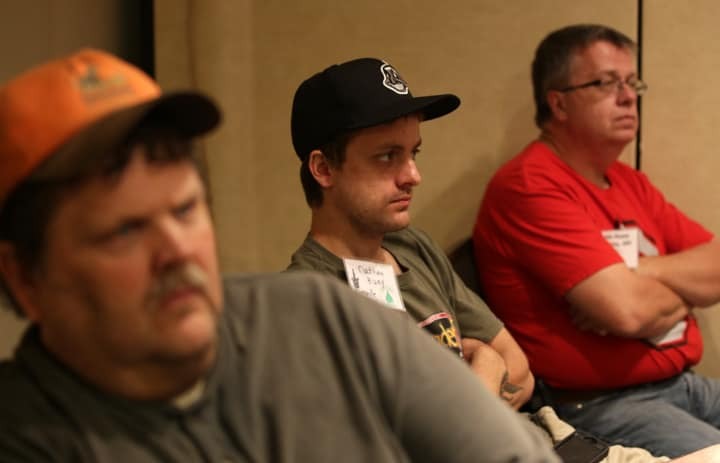 He regularly sells at bottle shows in the Midwest and at National Shows. 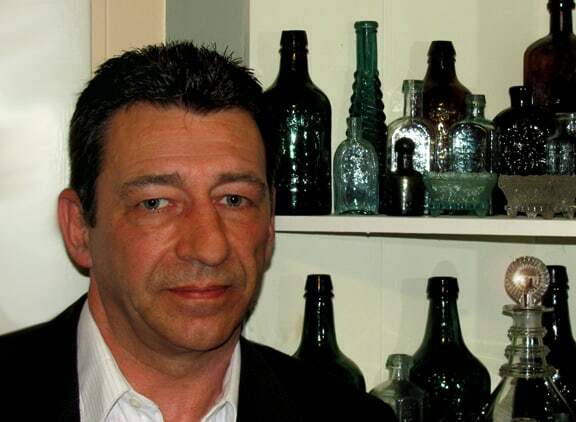 David is an FOHBC member and a regular contributor to Antique Bottles & Glass Collector magazine and is responsible for the Heard it Through the Grapevine monthly column.